This tour combines great fun, adventure, exploration, and learning! 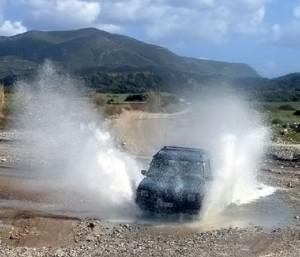 Rhodes Land Rover Safari: Splash, and on we drive! For adventure lovers, this is a great way to have unbelievable fun while getting to know Rhodes Island in an extraordinary way, something that most visitors never do. Our Land Rover convoy will pass along rough roads and through areas where civilization does not exist. We pass through villages forgotten by tourism, populated only by locals living a traditional way of life. We'll travel throughout the day, combining fun with exploration. We will reach the other end of the island at Prassonissi, which will give you unbelievably beautiful images that will remain with you forever. This is a real combination tour where you explore some of the most beautiful and natural areas on the South and West Coasts of Rhodes, whilst also enjoying the opportunity to be able to stop and enjoy the scenery. Visit the southernmost tip of the island and the natural wonder - Prassonissi – where the two seas meet. As you are travelling in a 4 x4, it will be able to take you as far as possible across the sand bar. You will have free time for a paddle between the Aegean and the Mediterranean - or to simply relax at a beachside Taverna. Get back on board for an exhilarating ride up the western coastline with the smaller outlying islands, culminating in a visit to a deserted beach in Appollakia Bay and chill out at our Robinson Crusoe castaway-style beach bar. Go Greek and enjoy some of the local food with our light “Olive picker's picnic” of fresh bread, feta cheese, tomatoes, olives, fresh fruit and of course some ouzo! Do not overdo it, though, it is a rather strong drink and it should be generously watered! Not to mention that there is more drinking to follow! Further inland, we’ll visit the beautiful hamlet of Siana where you can sample sweet local honey and if you dare - suma – the infamous firewater!! Then it’s onto the winemaking region where you will stop at a small, family-owned winery in the mountain village of Embona for a fun, informal wine tasting session. You will get a chance to sample some of their best wines while finding out how the wine is produced. You can also immerse yourself in some of our fascinating history and culture, while visiting a small countryside monastery. Plus, there will be some fantastic photo opportunities as you travel inland across the island, including diverse rugged scenery, wild-growing herbs and flowers and pine forests. 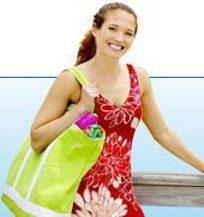 Excursion starts from both the north and the south sides of the island on alternate days. Rhodes Land Rover Safari: The edge of the world! Rhodes Land Rover Safari: Serenity in the lanscape, the colors and the Soul! Rhodes Land Rover Safari: Unexpected encounters! Rhodes Land Rover Safari: Elaborate scarecrows! Rhodes Land Rover Safari: End of the road! Rhodes Land Rover Safari: Where Two Seas meet!